August 17-19, 2018 is the annual Bush League event with activities all weekend long! Novice and developing quartets get coaching and compete. Chip off at Shanty Creek for a golf scramble. Harmony Mercenaries and select quartet performances in/around downtown Bellaire Friday and Saturday. Appearances by Upper Deck, the current Pioneer District Champion quartet. 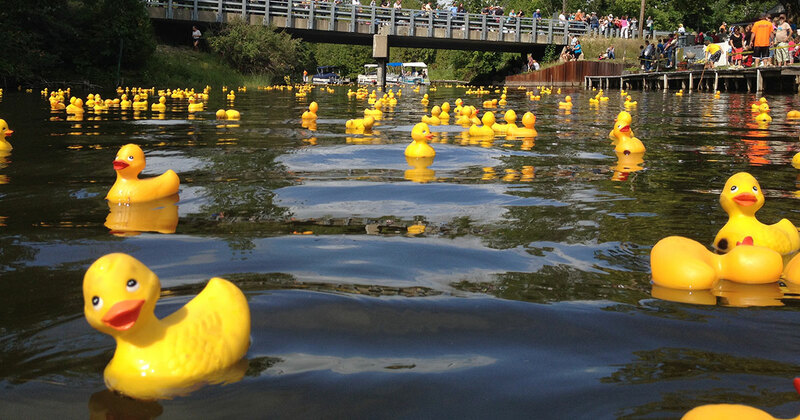 Final days of the week-long Bellaire “Rubber Ducky Festival” parade, family activities, etc. Platoon-quartet opportunities Friday Evening and Saturday morning. Coaching for all competing quartets Saturday morning. Bush League Contest Saturday afternoon. Show of Champions Saturday evening (Bush League medalists, Harmony Mercenaries, Upper Deck, and more! ).